GUYS. I pooped on the side of a mountain. Bet that wasn’t the first few words you expected to read in this post, now was it? It’s definitely the climax of this post, so I thought I’d start with it. SEDONA! We did it! 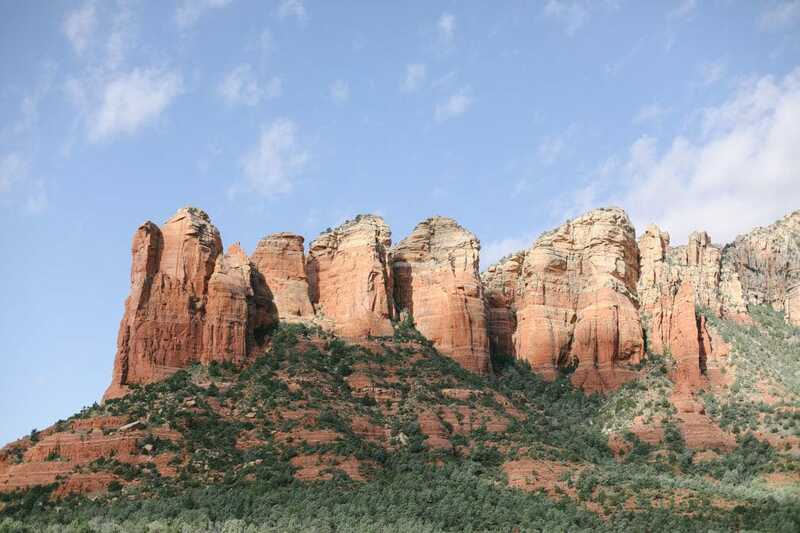 We booked a last minute trip to Sedona, AZ for Mark’s birthday. I shared a few weeks ago that it’s been on our bucket list to book a last minute flight and whelp, we did it. Mark and I had gone back and forth between booking the flight the morning of or the night before and we end up booking the night before for planning purposes (we had a 6 AM flight). I am a Southwest girl and love playing their rapid rewards point game, meaning we didn’t have to pay for either of our flights! I had enough points to book to and from Phoenix and I just got companion status with Southwest last month and Mark is my companion. What is companion status? Everywhere I go on SW, he (or whoever my companion is) flies free…even if I book on points! Since I received it last month, I get to finish out the year with companion status + all of 2018. HELL TO THE MOTHER EFFING YES. The purpose of this surprise trip was to spend quality time together and check it off our bucket list. It’s something we have ALWAYS talked about doing. Oh, and it was Mark’s birthday weekend! 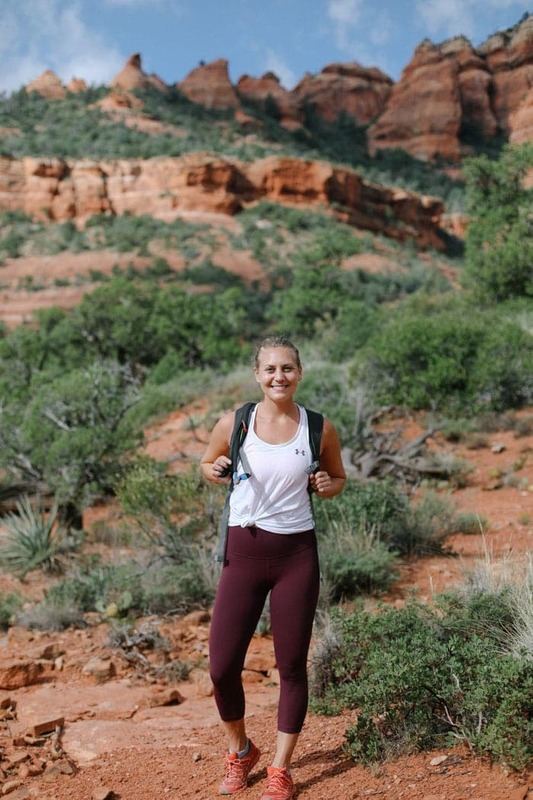 I’m so happy we chose Sedona because it made sense financially and allowed us to do our favorite thing in the world, hike! I asked FFF’s IG community for recommendations, and you guys came through. Majorly. 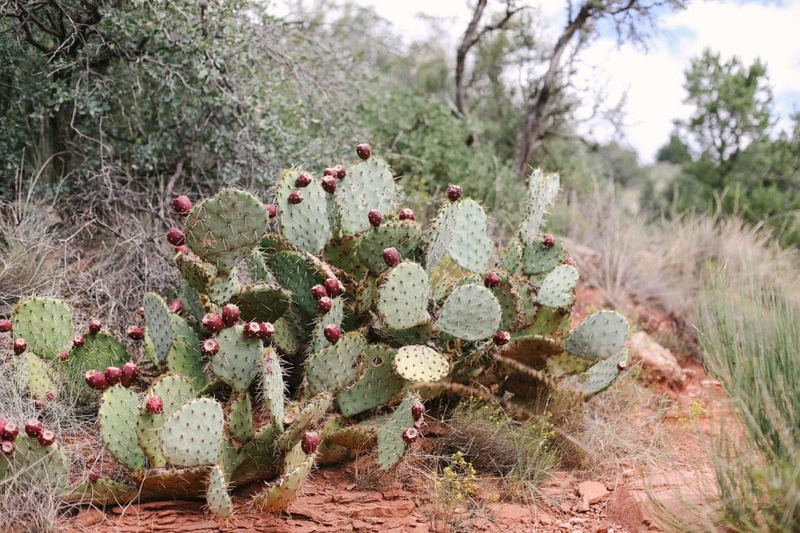 We got recs for restaurants and hikes because that’s really all we needed. For housing, we used Priceline for the first time to book something last minute. We didn’t have the best experience with that app because they showed us one price and when we went to buy, they said: “the price had gone up.” BS. We ended up doing it anyways and stayed at Poco Diablo Resort. Unfortunately, they put us in THE worst room in the entire hotel (I think because of our Priceline status). A dog barked for about an hour at 9:30 PM and there was a wedding party right outside our room partying until 2 AM. You see, we were waking up at 6 AM to go hiking and Minneapolis is 2 hours ahead, so we needed sleep! Good news is, they switched us AND upgraded us the second night, so that made up for any bad experience we may have had. 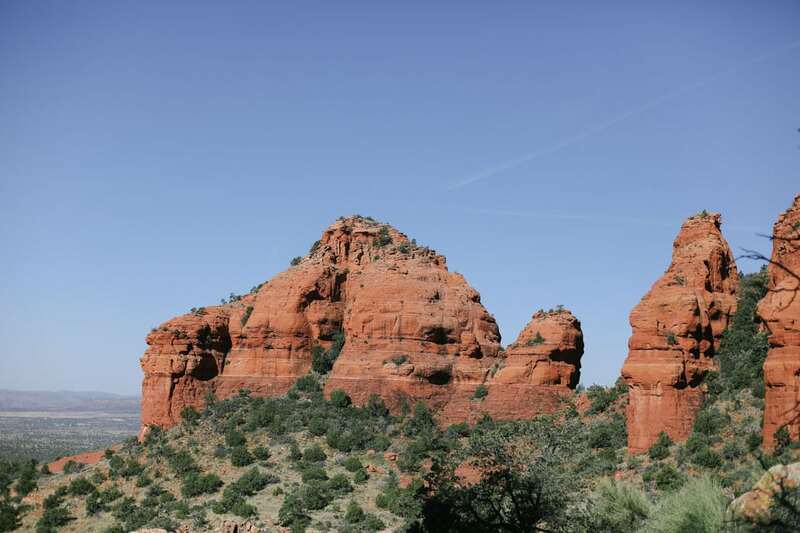 Okay, so we landed in Phoenix at 7 AM (even with the time change) and got to Sedona by 10 AM. 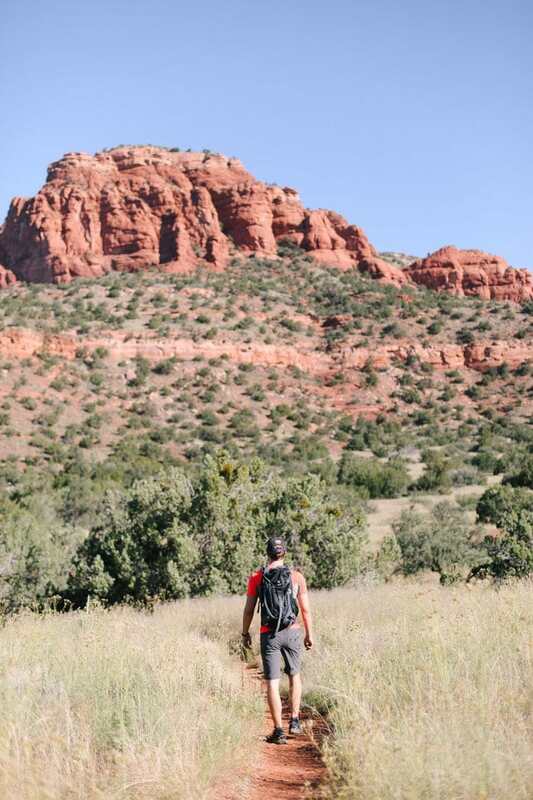 That gave us 1 full day + 2 half days to explore, eat, hike, and be merry in Sedona! Day 1 was our relaxing day by the pool, day 2 was our major hike day, and day 3 (partial day) was a mediocre hike day. Let’s chat hikes first! Remember when I told you I popped on the side of a mountain? That was during this hike. Things started off great, until I felt a rumble in my tummy (I was coming hot off 3 cups of coffee, grated I pooped before we started the hike). You never know when you might have a two pooper kind of morning and thank the bajeezus Mark was prepared with TP. Double thank the bajeezus we were lost and off the trail at the time because it would have been horrifying to have someone stumble upon me sitting on half a rock pooping my brains out. Other than the fact that the trail wasn’t marked well and I almost pooped myself, the hike was great. 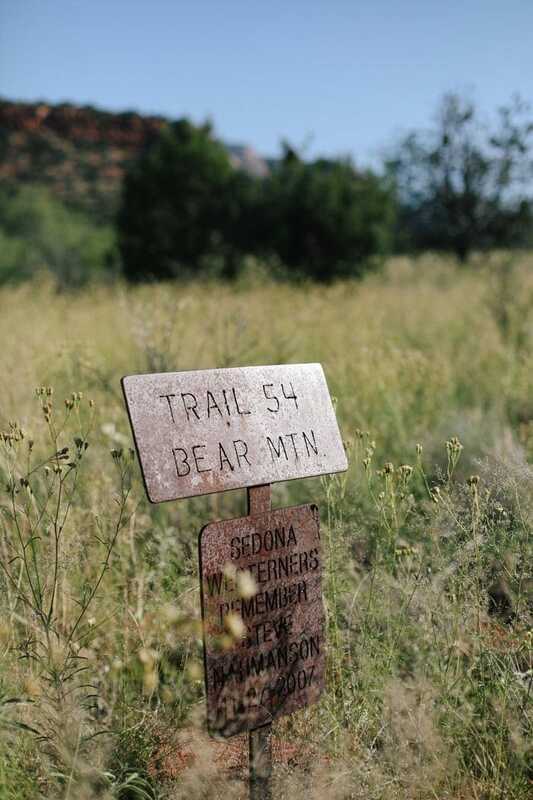 We chatted with some locals at the top and they were surprised we were tourists because Bear Mountain is not one of the mainstream hikes most people do in Sedona. This hike came highly recommended by Monique, so I knew we had to do it. All Trails calls this a moderately trafficked, hard trail and I’d have to agree. It was a 6-mile round trip and definitely challenging. It ain’t called a mountain for no reason. The reason why we loved it was because it wasn’t so highly trafficked and we could see the entire valley. I always love getting to the top of a hike and being able to gaze down on the whole world. One thing we should have packed more of was water. I think we had 5 liters total but should have had 6 (because we got lost for 30 minutes). 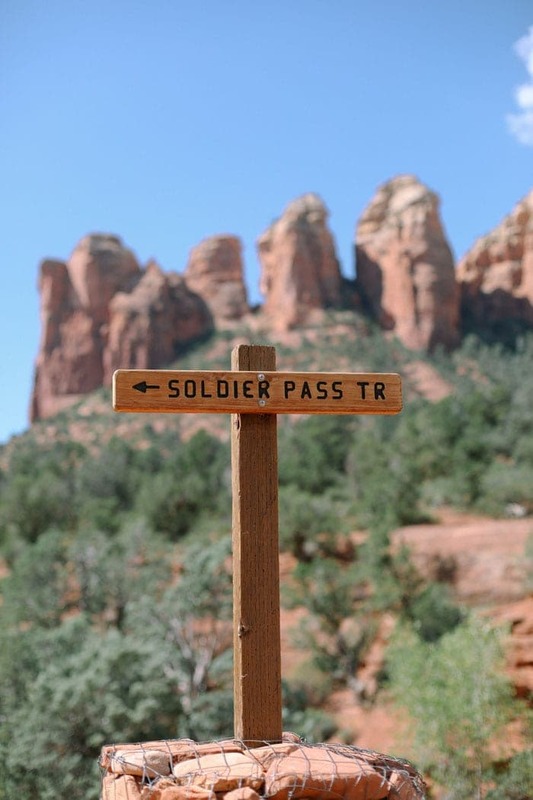 Soldier Pass is the second hike that we did and similar to the first, very poorly marked. I say that, but it might have just been the All Trails map we were looking at that really effed us over. The 4.2 moderate loop turned into a 5.5-6ish mile hike. I don’t mind that it ended up being longer, but we definitely got off trail for a good 45 minutes and I was scared I was going to see slash step on a snake. That would NOT have been good. This hike was a good day 2 hike because it wasn’t super strenuous, but still a nice day adventure! I, of course, didn’t take any photos of the food I ate. When I’m on vacation I like to switch photography gears and photograph landscapes instead of food. Plus, whenever we eat our big meal of the day, it’s usually dinner and super dark out. I will tell you where we ate, though! As you can see, we really like Mexican (AKA margaritas and chips) and breakfast. 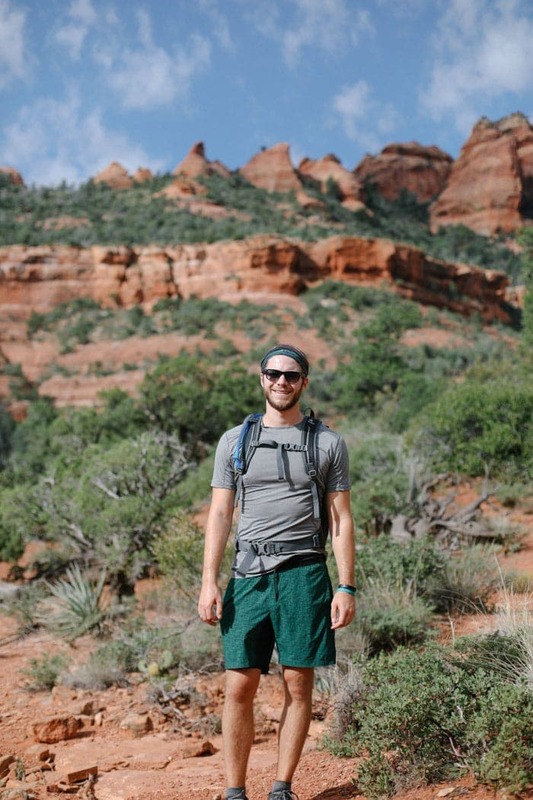 I was a little bummed about the beer scene in Sedona. Apparently, the folks that vacation there are a little more into wine? Thanks for all the food recs, guys! All in all, we really loved Sedona, but most of all we loved getting away together and spending that quality time we don’t seem to always get at home. Downtown Sedona is so great and we were bummed we didn’t have more time to do more hikes because there are so many within a 5-mile radius. And so there you have it. 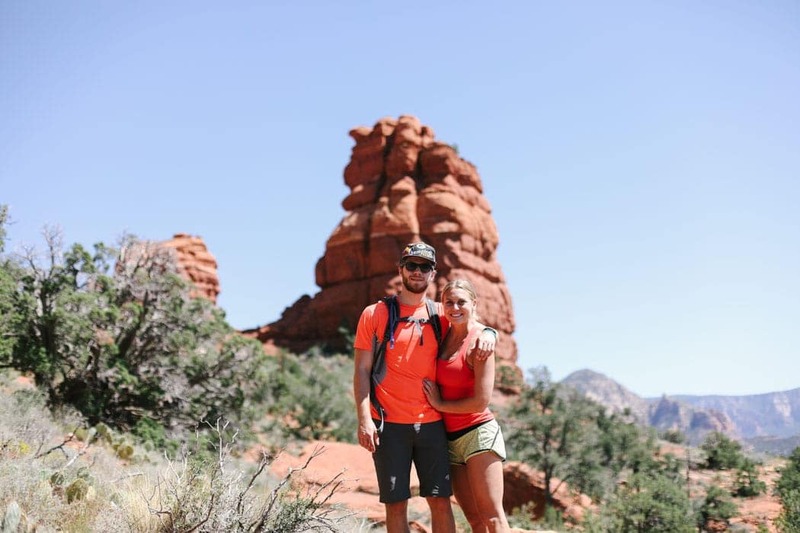 Our surprise trip to Sedona in a nutshell!